If you’re interested in weed and pest control services in Las Vegas for your trees, shrubs, or lawn, then allow the professionals at Flatliners Pest Control to assess the various issues you may be having with your yard or commercial property. Our Arbor Care Program is customized to the specific needs of each unique property. Contact us today for a quote. At Flatliners Pest Control in Las Vegas, we not only specialize in rodent, insect, and pest management, but we can also take care of the outdoor greenery surrounding your property. Our tree care services can be performed as needed or as part of an 8-month program. We start the 8-month program in the spring with a deep root fertilization and perform insect and disease control every 6-8 weeks as needed, finishing in the fall with another deep root fertilization treatment. At Flatliners Pest Control we offer custom programs to battle and prevent all of the pests, weeds, and diseases associated with a sick yard or landscape. Some infestations, such as bores are harder to treat and require systemic insecticidal treatments. Since bores are inside the tree, these treatments may not always guarantee total removal. Whatever pests or plant disease you’ve been confronted with, the professional tree and shrub care specialists at Flatliners Pest Control have the solution to healthier, pest-free plants. We can even help if you are trying to prevent your plum or olive trees from producing fruit. For commercial properties especially, you may have loads of olives or plums dropping all over the place causing an eyesore, nasty mess, and it may be attracting the wrong kind of critters. Call us today to learn more about how to reduce or prevent fruit from developing on your trees. As with all of our arbor care programs, weed management can be customized to fit your specific needs. We perform fertilization periodically starting in the spring and ending in fall. 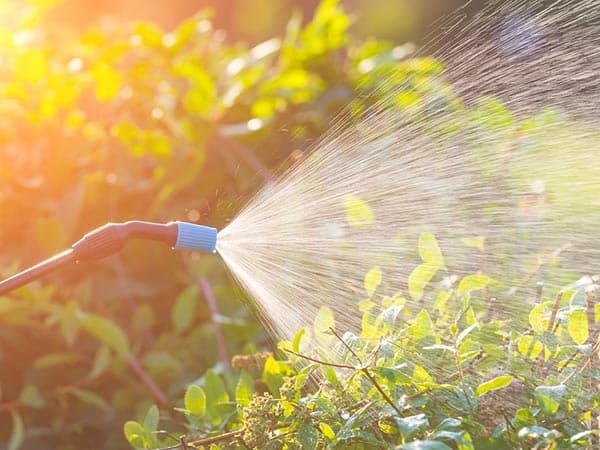 A post-emergent is used to kill any weeds above the ground, and a pre-emergent is applied to prevent any weed seeds from germinating and forming into plants. For services in Las Vegas, contact the professionals at Flatliners Pest Control. We offer arbor care programs that are customized to your specific needs. Contact us today with any questions or for an estimate.